To be successful in a trademark infringement lawsuit you need to be thoroughly acquainted with your business model and intellectual property rights. You will need to have proof of not only your registered trademark(s), but know important dates such as your first use in commerce of the trademark. Were you using your trademark before the alleged infringer? Has your trademark registration ever lapsed? Have you ever assigned – or been assigned – your trademark rights? How much do you spend on marketing related to your trademark? Have you experienced instances of confusion between your trademark and the mark of your potential infringer? These are all things you need to think about prior to initiating a trademark infringement lawsuit. Trademark infringement lawsuits can cost on average anywhere between $120,000 to $750,000 depending on the complexity of the case. During the pendency of the lawsuit, you are responsible for paying your Attorney’s monthly bills. While recouping Attorneys’ Fees from the other side is possible, these fees are not awarded until the end of the case. 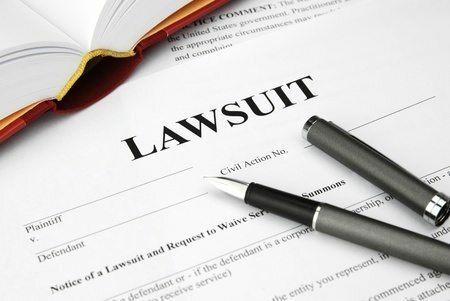 Further, trademark litigation can take years to resolve, especially if the dispute is highly contentious. Even if you win your trademark infringement lawsuit, the Defendant is not always capable of paying money damages awarded at the end. If the Defendant is insolvent, i.e. not collectible, you may have spent those expensive Attorney’s Fees referenced above for no reason. Before diving into trademark infringement litigation, ask yourself what you would be willing to settle for. A certain dollar figure? The infringer ceasing use of your trademark? Knowing your bottom line will help you throughout the litigation process if the prospect of settlement ever occurs. To ensure the most effective representation and smoothest process possible, you will want to hire an Attorney who is experienced in trademark litigation. An experienced Attorney will be able to provide insight to the validity of your case and advise you of strategy every step of the way. If you are going to pursue trademark litigation, having a skilled Attorney on your side is worth the investment. If you think that your trademark has been infringed and would like to discuss your options related to litigation or otherwise, contact a Traverse Legal Attorney today.